Boy Shaving his Head is traditionally Zoopraxiscopic. The timeline is discussed with ‘frames’ leading up to, during and after the ‘cutting’. Allegorically this series explores a notion of relative absence and the removal of and damage to, self. Existence is threatened by our own action. The ‘self-shaving’ is a re-enacted, private subjugation and acknowledgment of homogeny in our despair; a ritual humiliation asserted in the tradition of concentration camps and mental asylum. 'Trees Marked for Felling' is repetitive and this series views the timeline from a different frame of reference (the camera as observer is moving); allegorically it explores a recurring personal theme of emotional progress. Although we are ‘marked' (both from birth, as a genetic predisposition or from the scarring of a traumatic event) each is a separate, unique universe responding to a shared societal experience. The yellow markings are a device that declares a pre-determined future, whilst archiving a previous existence. It is the paradox of Schrödinger’s Cat, that an object can both exist and not exist in the same moment. Schrödinger's thought experiment goes further in discussing that the observance of something changes its very nature. As observers we are altering the molecules of the immediate universe in our view, like a Werner Herzog documentary; the very force of his artistic personality shaping the landscape to fit his unique vision. 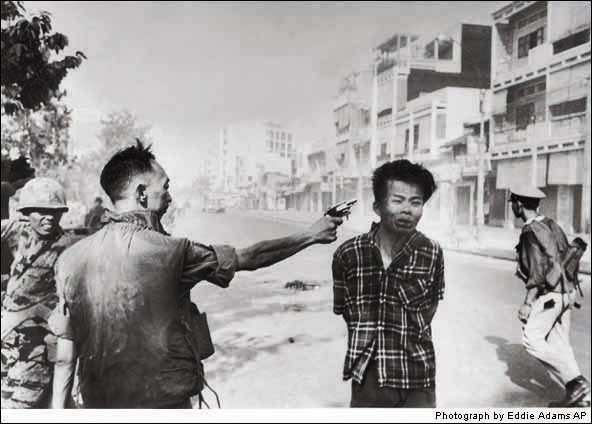 A more obvious example is this record of an execution staged for an audience. 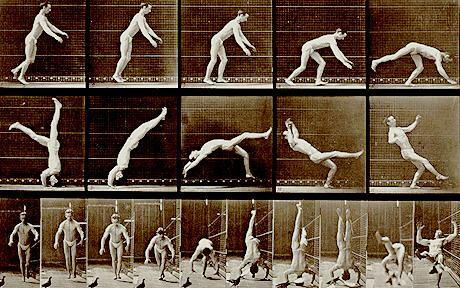 The film (see link below image) captures the timeline like the Muybridge collotypes leading up to and after the famous defining moment captured by Eddie Adams. The difference between us and Schrödinger is that we are observing the cat in the box and we must accept the inevitable affect our presence has on any moment.